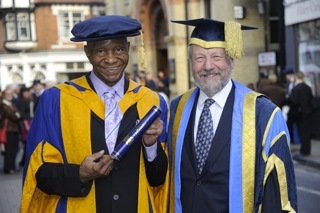 On October 9, the Angola 3's own Robert King received an honorary law degree from Anglia Ruskin University in Cambridge, England (read reports by the BBC and Cambridge News here). Read King's speech given at the ceremony here. 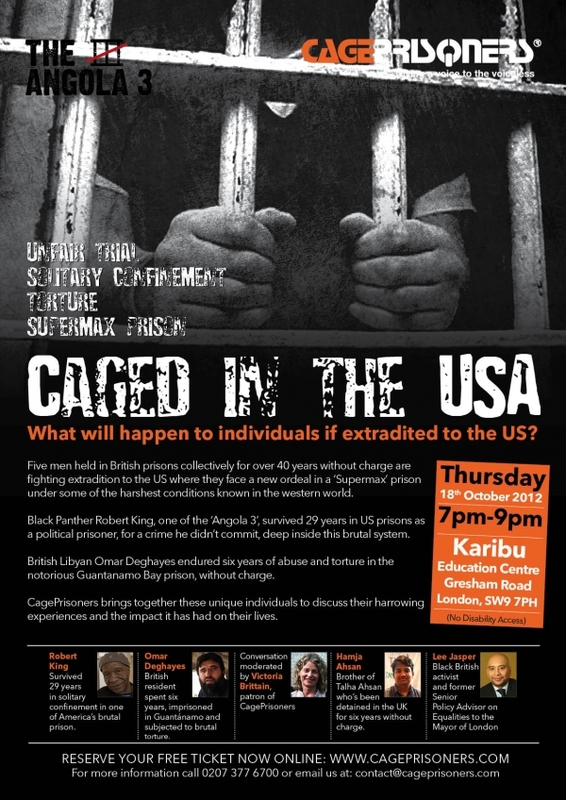 --Caged in the USA: What will happen to individuals if extradited to the US?, in London, on October 18, at 7pm, organized by Cage Prisoners (read more here). UPDATE: Coverage of this event with a Video and Writeup. 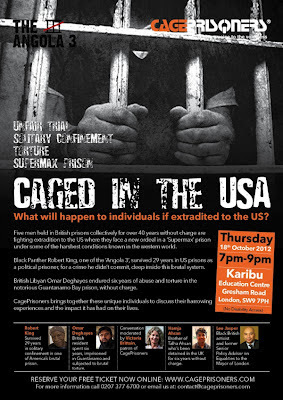 --Screening of In the Land of the Free, about the Angola 3, in London, on October 16, at 7pm (read more here).